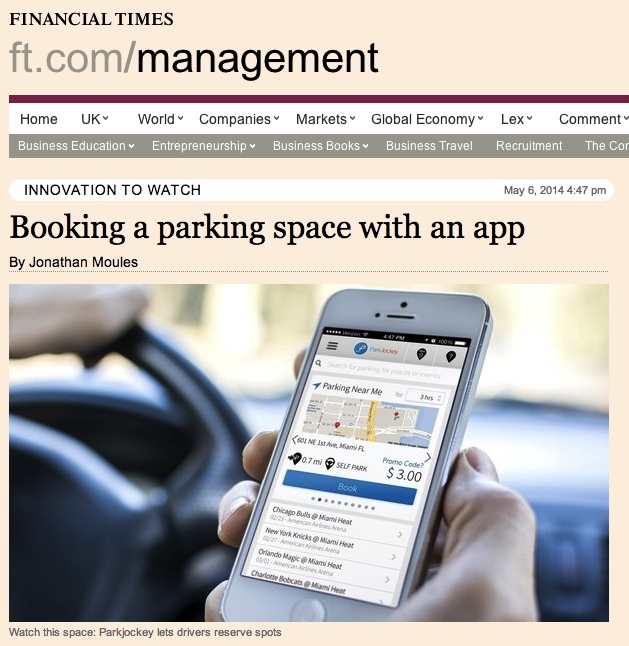 Just this evening, ParkJockey has been published in The Financial Times. Click here to register for free and read the full article. The article shows off the ParkJockey app as a solution for ‘solving travel problems’ and using the ‘reach of the web to allocate physical asserts more efficiently’ – the combination ultimately helps people find nearby parking spaces and guarantees them by pre-booking. The Financial Times website has 13.6 million monthly unique users, and the print version has a 230,470 daily circulation, based on our own estimates. The print version of the article will come out tomorrow. Watch out for us tomorrow amongst the pink sheets. This entry was posted in Chicago, London, Miami, News, ParkJockey, Press and tagged financial times, mobile app, parking on May 6, 2014 by ParkJockey Team. Ladies and Gentlemen … I pronounce to you the launch of our YouTube channel – ParkJockeyTV! It encapsulates the ease that ParkJockey brings to all drivers wanting to park, enough of the writing, enjoy the video! Stay tuned for upcoming new videos – giving walkthroughs of our functionality. This entry was posted in Chicago, London, Miami, News, ParkJockey, Press and tagged mobile app, parkjockey, video, youtube on May 2, 2014 by ParkJockey Team.